Gambling is a big part of the Queensland lifestyle, with the Sunshine State housing more casinos than any other state in Australia, with world class casinos scattered across the coast from Brisbane to the Far North. 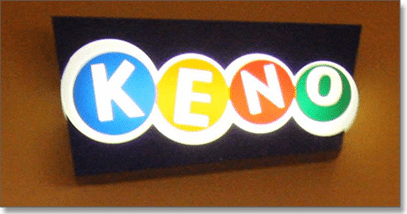 Keno is a favourite game for those who want something a little more laid back without requiring the strategy of a table game or the autonomy of the pokies. Keno’s availability outside of casino walls to within pubs and retail outlets makes it a popular game for those who otherwise aren’t big on gambling but enjoy a little thrill with the possibility of a life-changing win. Keno in Queensland is operated by Tabcorp Holdings, which has has a distribution network of over 3,600 venues across clubs, hotels and TAB outlets in Victoria, Queensland and the ACT. You’ll find keno available in paper ticket form or for electronic play at a majority of all pubs, casinos, RSLs and newsagencies across Queensland. A new keno game is held across QLD every three minutes, so you never have to wait long for your chances to strike it lucky. Keno is an easy game to play as it’s a game of chance which requires absolutely no strategy, making it suitable for newbies and seasoned keno players. When purchasing a keno ticket, all that’s required of you is to use a pencil to select to play anywhere from 1 to 40 numbers from the digits listed 1 through 80 on the keno ticket. If you’re short on time or don’t have any particular lucky numbers in mind, you can just choose the “keno kwikpik” option when buying a ticket at the counter so the keno system will randomly select the numbers for you. Keno can also be played electronically on computerised screens in some venues. The rules and gameplay are exactly the same as when purchasing a paper ticket, the only difference being players use the touch screen to make their selections instead of completing the card manually. Keno Bonus Game – selecting to play the keno bonus game means the cost of your ticket will double, but you will have the chance to multiply any keno wins you make by X2, X3, X4, X5 or X10. Keno Heads or Tails – purchasing a keno ticket or touch card in Queensland also provides the option of playing the additional Heads or Tails keno game. This add-on requires you to choose either heads (that more numbers drawn will appear in the top half of the keno card), tails (that more numbers drawn will appear in the bottom half of the keno card) or evens (that an equal amount of numbers will be drawn from both the top and bottom sections of the card). A successful prediction will award you with double your money. Keno Advanced – purchasing a Keno Advanced ticket allows you to play multiple entries in each game on a single ticket. Winning combinations are formed by combining groups of numbers. Each of these sites is protected by a minimum of 128 Bit SSL Security Encryption to ensure players can deposit money without any privacy concerns. Multiple online keno games are available, including live dealer keno which streams a live keno draw hosted by a real human croupier direct to your computer screen so you can watch the results unfold before your eyes. Note playing keno online won’t offer the same bonus games found in Queensland based keno games as outlined above, but each online variant may offer its own bonus features. Follow our links listed above to play real money keno and you’ll also receive some enticing welcome bonuses including matched deposits and free spins on popular online pokies.